The CPA Alliance is a select group of firms from across the country who have worked together unofficially for years to provide the highest level of service to their clients. Each member is an industry leader in working with community associations, businesses and individuals in their region. In 2014 they came together to create a venue where they could pool their resources in such a way as to reap even greater benefit from their alliance. The member firms of the CPA Alliance are comprised of highly qualified individuals, all of whom work hard to maintain knowledge of trending changes in tax, auditing techniques, and reporting. The CPA Alliance draws from these deep reserves to best serve their clients from coast to coast. At last a book that guides the reader through the perils and opportunities of buying a home within a community association. 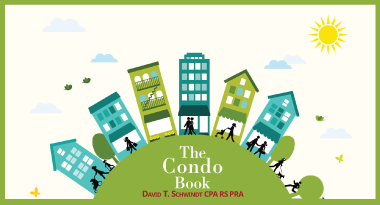 Condominiums, townhomes, cooperatives, and single-family homes within a community association share similar issues with respect to financial and governance surprises that may affect your pocketbook and quality of life. Learn how to ask for the right information, ask the right questions, and decide for yourself the best home that reflects your values, lifestyle and budget – and of course to help avoid a major surprise after purchase.